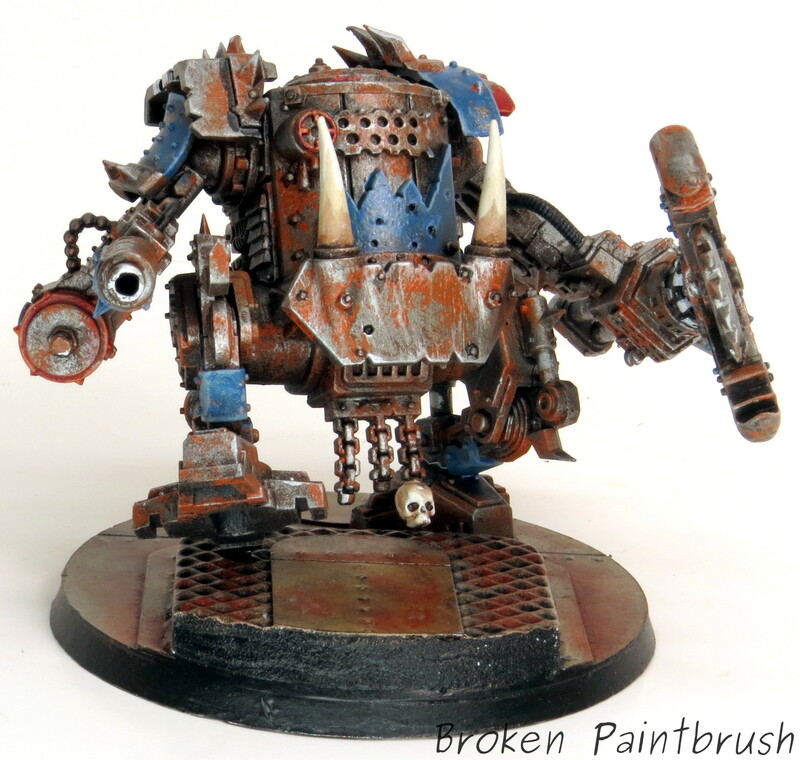 These are in line with my Deffdread: lots of rusty armor, sections of ‘lucky’ blue and the odd section of stolen icons here and there. 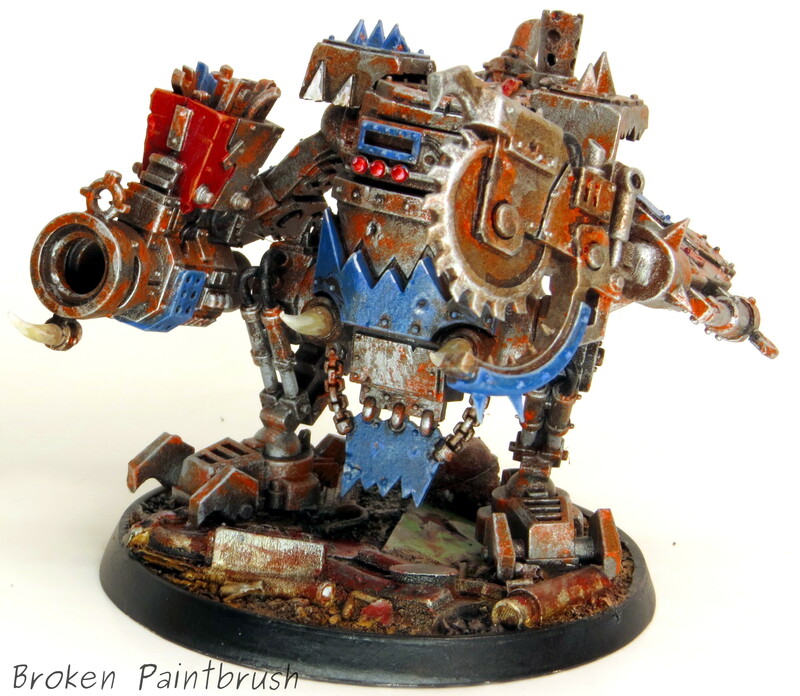 I put together a painting guide with my second squad of Killa Kans if you want to see how I did the colors. First up is Hickory with this big shoota and buzz saw. Probably the worst choice of weapons in the box and someday will need to switch it to a missile launch or something. 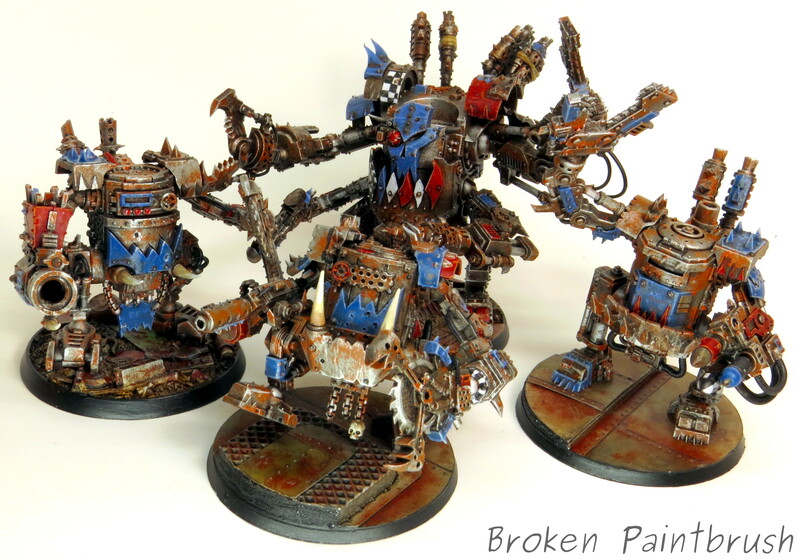 I built all three models without their base so I could paint it separate. 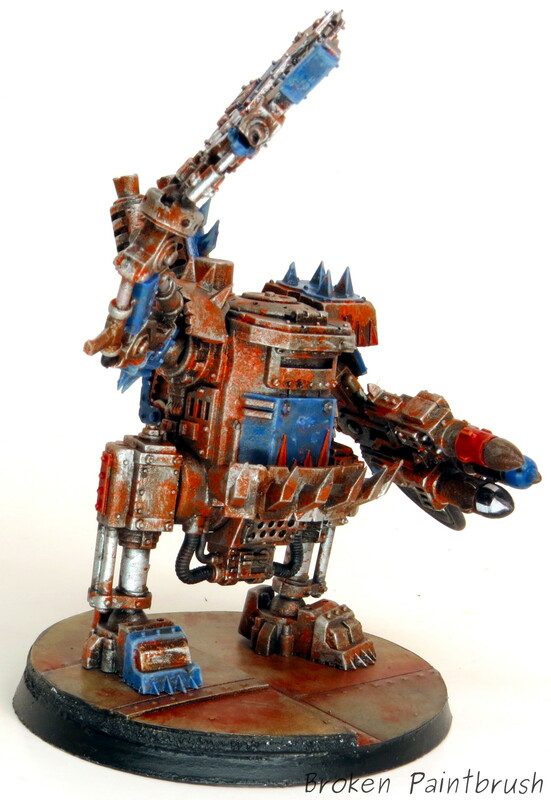 After finishing the Killa Kans, I found a base that matched best with each model. Hickory got a base with a large step that matched well with his gait. The bases are from Secret Weapon Miniatures‘ Iron Deck series. 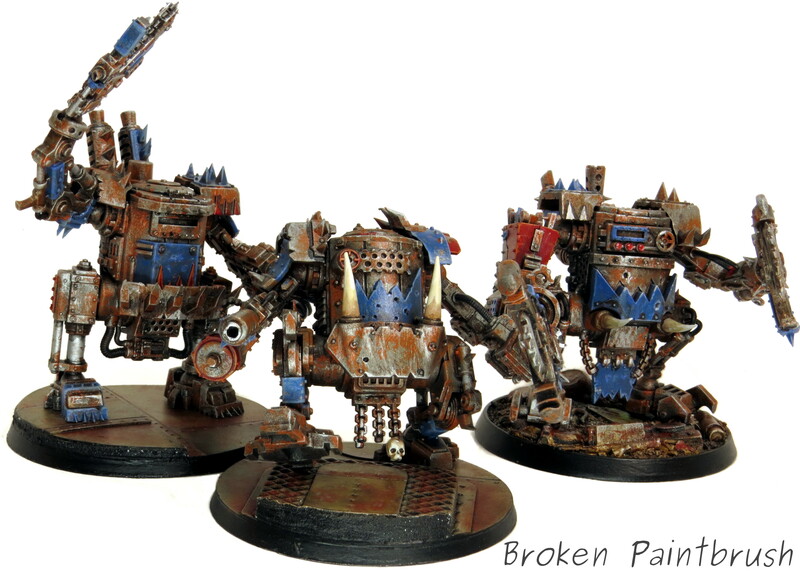 The Killa Kans have such great, cobbled together look, they were fun to build and paint. While not as flexible as some of GW’s newer kits, the customization (or Kustom’) you can do on each is impressive even without resorting to plasticard. 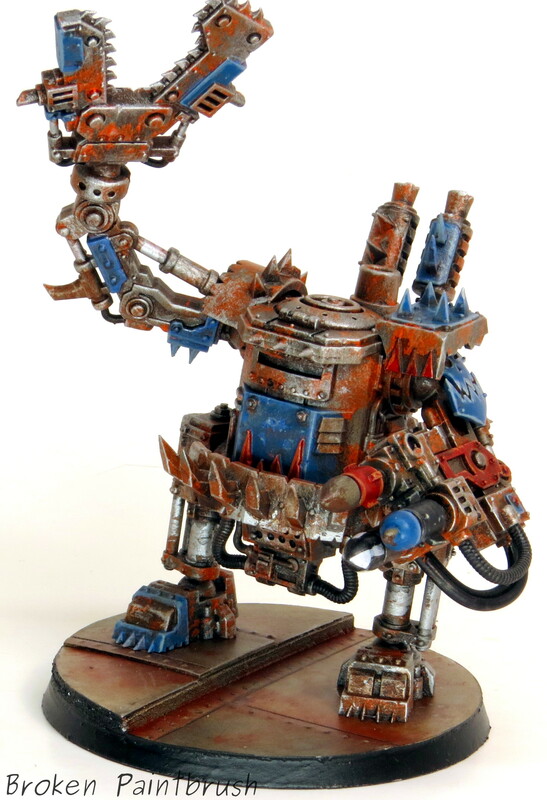 Next up is Dickory with a rocket launcher and nice buzz-pinchers. 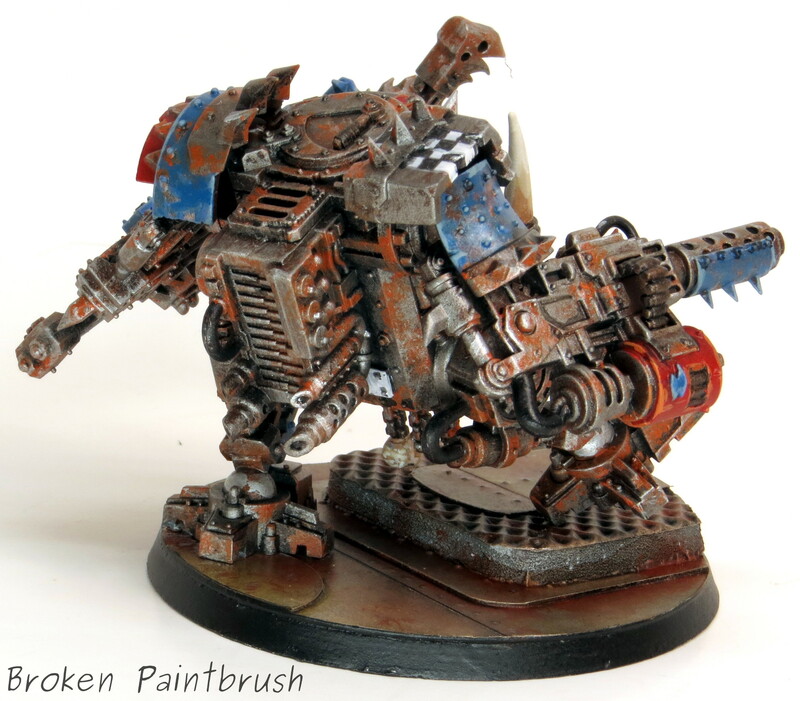 He is also on an Iron Deck base, this time with the step to the side. His legs were off just enough to make it look convincing. 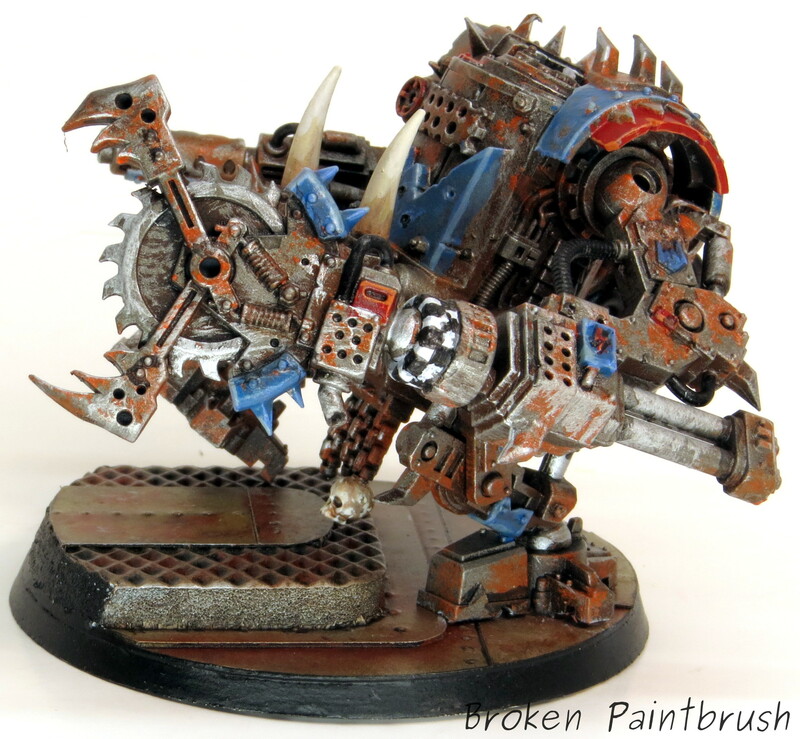 Notice the Goff markings on his pincer hand. I wanted to pull in some of the loota’ aspect of the Death Skulls as well as give some interesting bits throughout the model. 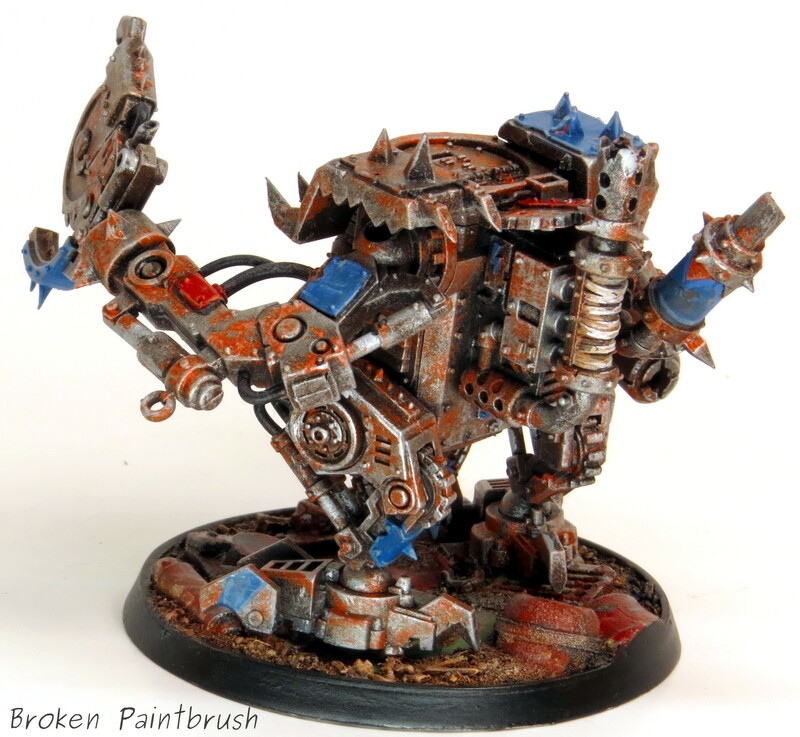 Last up is Dok with the ever famous Grot Kannon and buzzsaw. The idea of the grot stuffing whatever he can find into the launch barrel more than makes up for the down side of this gun (short range with scattering is never a good thing!). 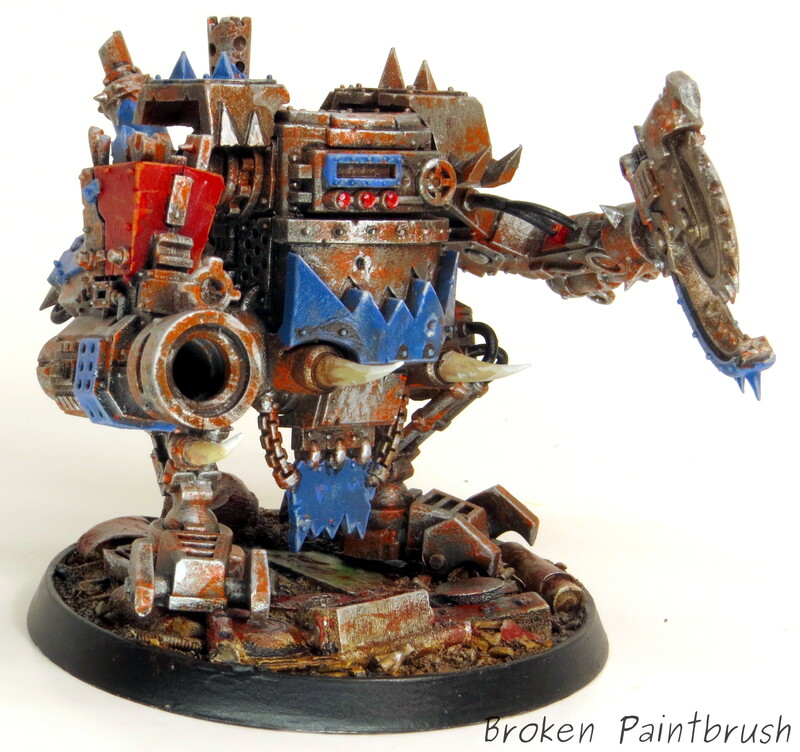 Dok’s base is from the scrap yard set with lots of odds and ends to paint up. 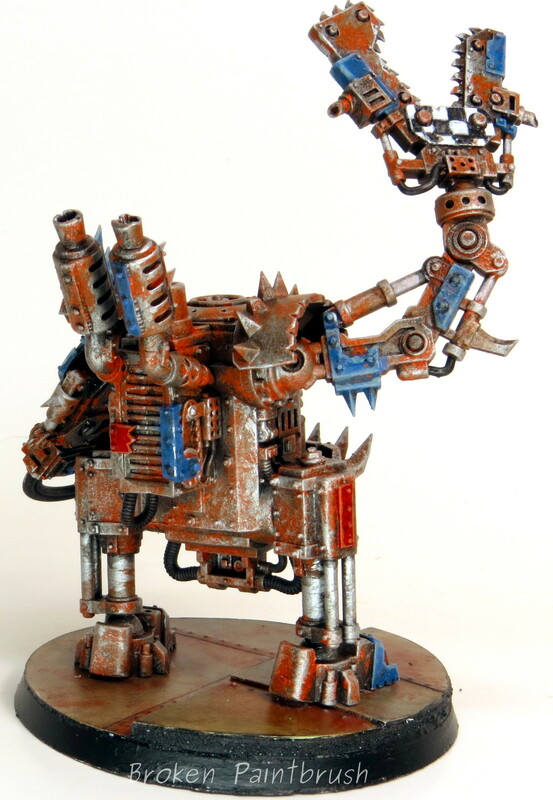 I feel that I tied in the different lines well with the rusty metal look throughout. And now a family shot! Not too bad of a start to a dread mob, though if I remember right, I need six more Killa Kans, two more Deffdreads, and two Gorkanoughts. 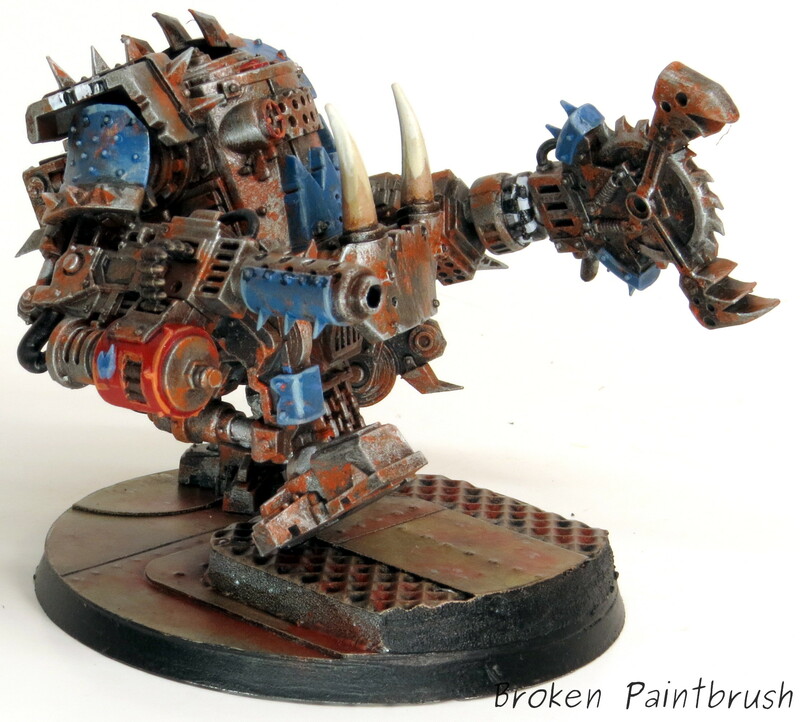 But fear not Ork fans, for another box of Killa Kans, and Gorkanough, and a Stompa are in progress. Update: I’ve made more progress on the Dreadmob!